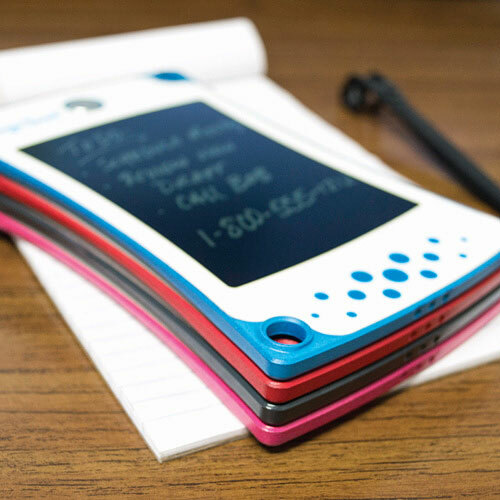 Boogie Board eWriters is an American company that has created a product that redefines writing. This LCD board gives you the classic experience of pencil on paper but incorporates modern features to make it easy to jot down your every thought. With Big Apple Buddy’s personal shopping service, you can now buy direct from the Boogie Board eWriters online store anytime, anywhere. Say goodbye to paper and sticky notes! 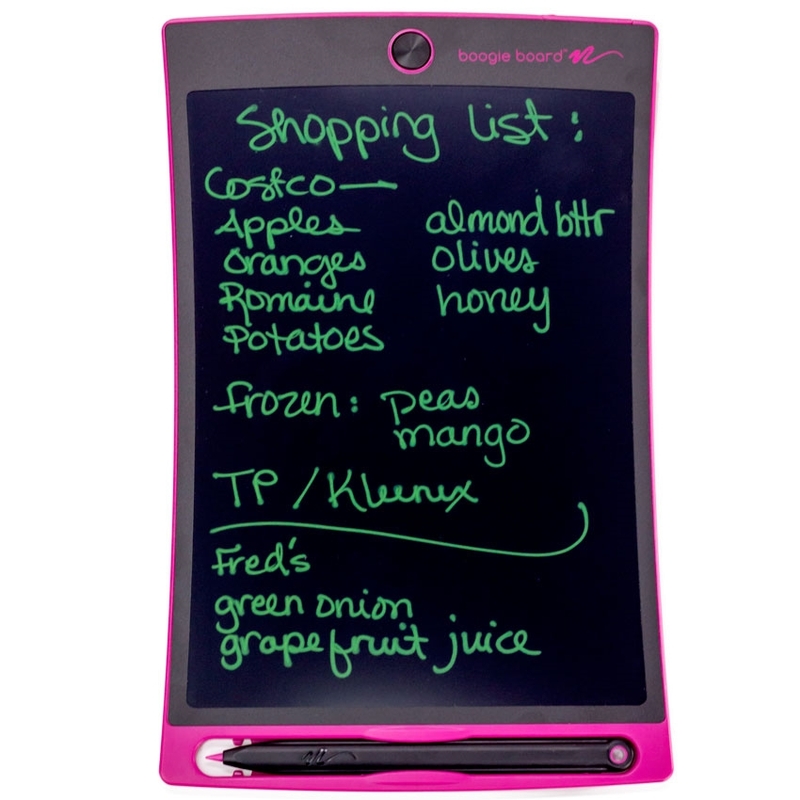 The Boogie Board eWriters Jot 4.5 is the notepad of the future. It feels like the traditional pen to paper experience but has modern features that make it easier than ever to write things down. With a stylus holder and an erase button, this eWriter has all you need. It's also sleek and lightweight so you can carry around anywhere, at any time that an idea hits you. Get an upgrade with the Boogie Board eWriters Jot 8.5! The new style and design that remains lightweight and thin. Now you can save, edit, and share with the Jot app. It has extra contrast so you can see better during the day and not have any glare. The built-in magnets make it easy to place it anyway you want meanwhile the image stays on as long as you need it and also quickly erased. For those who mean business, the Boogie Board eWriters Sync is for you! This product allows you to store thousands of files and transfer to your devices that are nearby. 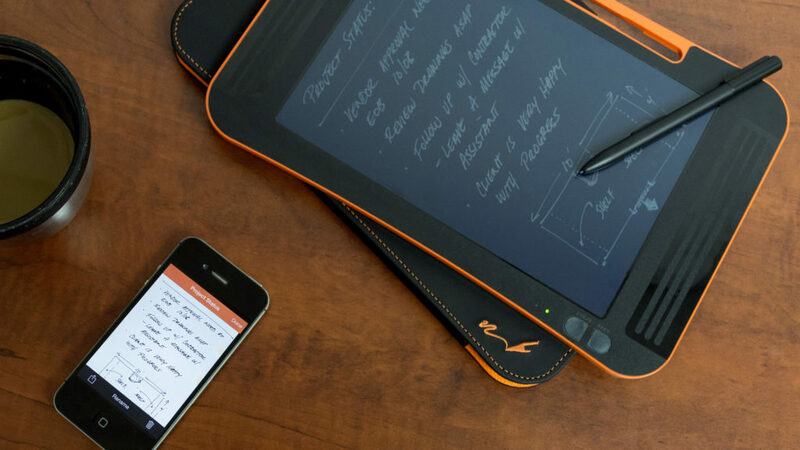 With a touch of a button, you can start on a clean page and began writing down what you need. The Bluetooth connection allows up to 3 devices and it has the sleek, lightweight signature design that makes it perfectly portable. Unfortunately, the USA Boogie Board eWriters online store does not currently offer international shipping. However, Big Apple Buddy, your personal shopper, can help you buy products direct from the official USA Boogie Board eWriters online store and ship them to your doorstep, no matter where you are in the world. We offer international shipping to over 110 countries including Australia, Austria, Azerbaijan, Bahrain, Belgium, British Virgin Islands, Brunei, Bulgaria, Canada, Chile, Costa Rica, Croatia, Czech Republic, Denmark, Estonia, Fiji, Finland, France, French Polynesia, Germany, Gibraltar, Greece, Greenland, Hong Kong, Hungary, Iceland, Indonesia, Ireland, Israel, Italy, Japan, Jordan, Kuwait, Latvia, Liechtenstein, Lithuania, Luxembourg, Macau, Malaysia, Maldives, Malta, Marshall Islands, Mauritius, Monaco, the Netherlands, Netherland Antilles, New Zealand, Norway, Oman, Poland, Qatar, Romania, San Marino, Saudi Arabia, Serbia and Montenegro, Seychelles, Singapore, Slovak Republic, Slovenia, Spain, South Africa, St. Lucia, Sweden, Switzerland, Taiwan, Thailand, the UAE, the UK, Vatican City, and Vietnam. If you would like to buy from the USA Boogie Board eWriters online store, simply let us know which items you would like to order (by filling out the form below) and we’ll get back to you with a free international shipping quote within 24 hours!